Preston Manor, in Brighton, is currently home to the Folklore, Magic and Mysteries exhibition, about witchcraft in Britain. It is also said to be home to ghosts including a lady in white. 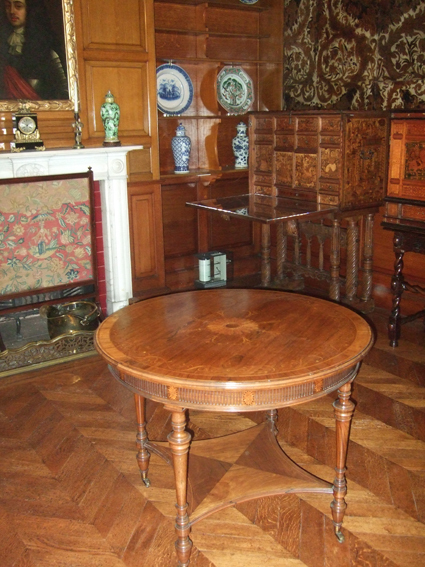 The rooms in the manor are still set out as they would have been in the Edwardian era, when they were lived in by the wealthy Stanford family, who on the surface appeared exactly as would have been expected of landed gentry of the era. However, they clearly had a strong belief in ghosts and conducted seances to try to contact them. 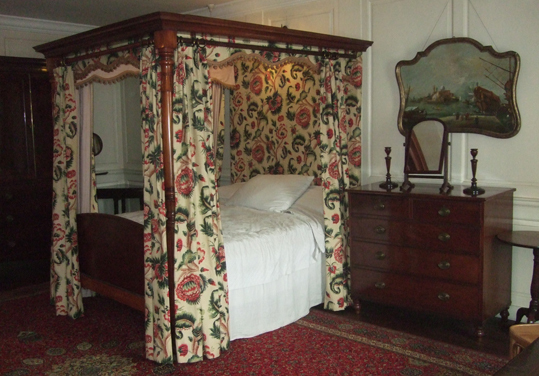 In the late 1800s several guests reported the south-west bedroom (pictured above) to be haunted by a ghostly hand moving up and down the bedposts and strange noises. In the north-west apparently silk dresses were cut to shreds by a lady in white. The photo on the right shows a downstairs room in which seances were regularly held. I didn't see any ghosts when I was there - perhaps you might be more lucky if you pay a visit.